Grilled Flat Mushroom and Pancetta on Toasted Brioche with Welsh Rarebit. A rather long name for a quick dish. What is Welsh rarebit? Welsh rarebit or rabbit is a dish made with a savoury sauce of melted cheese that pour over slices of toasted bread. This is taken from Gordon Ramsay's Kitchen Heaven. I made this for son's breakfast. This is also the first time I am cooking a Gordon Ramsay's recipe. My children had asked before why I have never cooked anything from Gordon Ramsay. Gordon Ramsay is well known for his short and fiery temper and frequent use of profanity on his TV shows. Perhaps that is one of the reasons why I am not drawn to his cooking. But I must respect and give the man credit where credit is due. Gordon Ramsay has won 15 Michelin stars and owns many award winning restaurants. Besides best selling cookbooks, he has many top rated TV cooking shows and also produced and judged the American Masterchef. I am exploring his recipes right now and if you know of a good Gordon Ramsay's recipe, do share with me. Fry the mushrooms in olive oil until cooked and drain on some kitchen paper. Grill the pancetta until crisp. Lay the mushrooms neatly on the toasted brioche, with the pancetta on top. Mix together the cheese,mustard,Worcestershire sauce and egg yolks and then fold in the cream. Season well and spoon gently over the pancetta. Place under a very hot grill until golden and bubbling. This is Yum! Gordon Ramsay says brioche is the ballerina of all breads - light and subtle. He is right! Do not use other bread. Whip the cream and fold in with the yolk and cheese mixture. I forgot the whipping step. The mixture was runny and flooded the brioche base, creating extra layer of egg which is also just as nice. (not supposed to have the egg layer below brioche). The sweet and buttery toasted brioche(store bought), juicy portobellos, top with salty, smoked pancetta and creamy welsh rarebit make this an indulgent breakfast dish. This is an ideal breakfast/brunch food for al fresco dining. Imagine fresh morning air, chirping birds and blooming flowers. Alas, twas not to be, we did not have the luxury. My son was rushing out for his morning class "sigh..."
No one has ever seen God with all His glory and holiness displayed. The bible tells us that on one has ever seen God except the Lord Jesus Christ. Some had, in appearances of the Lord in various forms. With spiritual growth, our hearts become more pure and we will meet and see God in Heaven. These are the Flower pot Cupcakes made by the children on Mother's Day. They also made for themselves a cup of gummy worms You can see from the children's neat handwriting that they made these flower pots with lots of love and respect for their mums. The mothers were very appreciative and called to thank us. 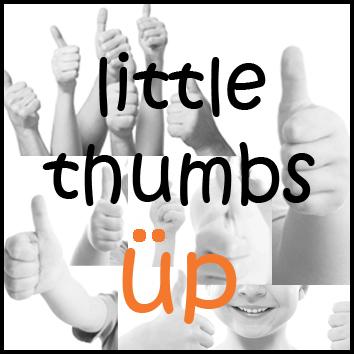 This post is linked to Little Thumbs Up 'Mushroom" hosted by Joyce from kitchen flavours. This blog hop is organized by Zoe from Bake for Happy Kids and Doreen from My little favourite DIY. This looks and sounds delicious! Just like you, I have never attempted GR's recipes just because! He is one arrogant and short-tempered chef! And just like you, I've decided to try out his recipes, putting his personality aside! But mind you, I have not done anything yet, except to buy one of this books, of all things, food on Asia! Haha! Kinda regretted buying that, should get one on Western cooking, where he is good at! The children are mighty creative with the cupcakes, gummy worms, hahaha! Thank you for linking to LTU! Hope you have a lovely week! Haha...Joyce, maybe you should try one of the recipe from that cookbook. Looks great! I have a few GR recipes on my blog, his recipe for scrambled eggs is really good (you have to try it!). Thanks Yen. I will look into your blog for the scrambled eggs recipe.